As Lead Instructor and “Chief Post Advocate,” Coach Mueller has nine years experience as both a head coach and assistant at the Division 1, 2 and NAIA levels. 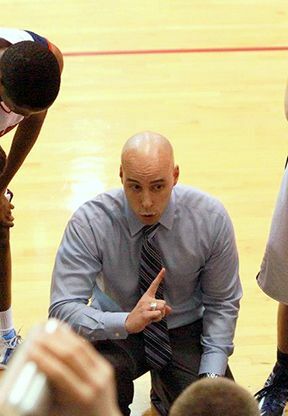 Most recently, Coach Mueller directed post play at the University of the Incarnate Word. In the 2011-12 season, he was instrumental in the team’s march to the Lone Star Conference title game. Mueller’s specialty is coaching post play. In his first four years coaching in college, five of his post players were recognized as 1st- Team All-Conference. Two eventually signed professional contracts to play overseas. One was an honorable mention All-American. And still another finished her career ranked 18th all-time in career FG percentage. After working with the Cardinals in 2011-12, Mueller took over the head coaching duties at Round Rock Christian Academy, serving as boys’ varsity coach. He turned around a program that had gone 1-19 the previous year and led them to 18 wins, a district championship, and an Elite 8 TAPPS 3A finish.